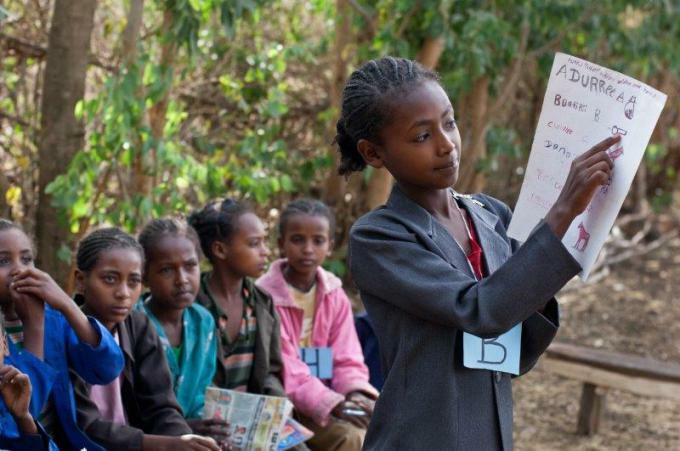 The Save the Children in Ethiopia Country Office (CO), in support of the Government of Ethiopia (GoE), has continued to contribute to the well-being of Ethiopian children in development and humanitarian contexts. We work to provide immediate humanitarian relief and long-term sustainable development. Ethiopia has made significant strides in reducing under-five child mortality over the past generation, although newborn mortality has not fallen as quickly. Save the Children has supported improvements in child health and now focuses on newborn survival and access to improved health services for the most-vulnerable Ethiopian children, mostly in remote areas. Our Community-Based Newborn Health were designed based on identifying and testing five high-impact newborn care practices, and currently reach about one-third of the country. These programs have significantly impacted newborn survival by incorporating these practices into the health extension system. We also support programs in Reproductive and Sexual Health, with a particular focus on adolescents, child health, and access to services in remote areas, as well as extension of key child health interventions in remote areas. While rates of stunting have dropped in many areas of the country over the past decade, Ethiopia still faces a huge burden from malnutrition with 40% of children stunted and more than 15% acutely malnourished in some regions. Save the Children has accompanied the Government of Ethiopia in developing a comprehensive national nutrition plan, in incorporating maternal and infant and young child feeding strategies into the health system, and supporting nutrition-sensitive livelihoods into the agricultural extension programs in nearly 120 districts. In addition, we currently provide support for life-saving acute malnutrition detection and treatment programs in 60 ‘Priority 1’ drought-affected drought districts for around 6m people. Ethiopia has enjoyed one of the highest rates of economic growth in the world, but approximately 30% of the population still lives below the poverty line and it is still a low income country. Save the Children supports improvements in household and youth livelihoods. We implement the Productive Safety Net Program, the main social safety net program, for about 200,000 people in eight agro-pastoralist districts and youth employment and micro-entrepreneurship programs in more than 35 districts in six regions. We also run multi-faceted nutrition and resilience programs that target most vulnerable households for agricultural, livelihoods, and micro-entrepreneurship. While nearly all children now have access to primary education, the quality is low and the average student now scores lower on national assessments compared to a decade ago. 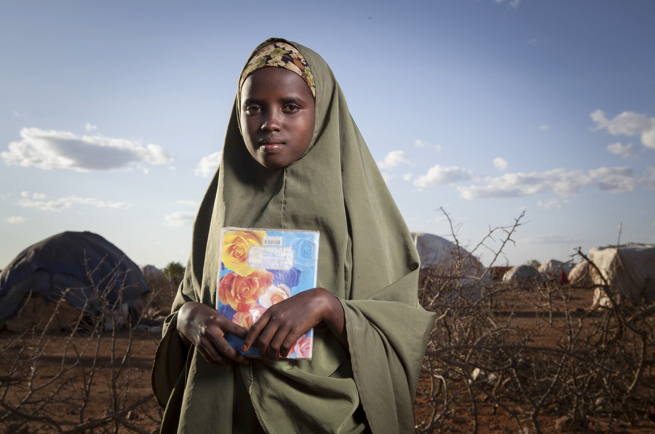 Save the Children supports early grade reading programs in nearly 3,000 schools for more than 1m students that include teacher training, improvements in classroom environments, and community mobilization for reading. We also run teacher training programs and alternative basic education programs. In addition, we will provide education to refugee children and drought-affected schools benefitting more than 125,000 students in 2016. We also support the development of the national early childhood education curriculum and improving access to early education in poor areas. Ethiopian children face a number of protection challenges including harmful traditional practices, living without family care, and unsafe movement and migration. Save the Children addresses main child protection issues to improve national systems, mobilize communities and local NGO to provide appropriate care for vulnerable children, reduce harmful traditional practices, and manage cases of more than 15,000 unaccompanied and separated refugee children. Among other achievements, our programs significantly reduced the frequency of female genital mutilation in the Somali and Afar regions. Save the Children supports the wellbeing of children through the child-sensitivity of key national and local policies and strategies. This includes innovative child-led social accountability work and supporting child participation. Our experts routinely engage in key national policy dialogues to ensure that national plans and policies are child-centric. Nearly two-thirds of rural Ethiopians do not have access to adequate sanitation and millions others do not have regular access to water, particularly in the dry, drought prone east and south. Save the Children address this in longer-term development and emergency contexts through water source development and provision for health posts, health centers, schools, and communities. We also support hygiene behavior change including promoting open defecation-free communities and hygiene promotion with children. Our 2015-2016 drought programs have provided life-saving services to more than 600,000 people. Save the Children’s response to the massive 2015-2016 drought in Ethiopia has brought timely, life-saving services in food distribution, nutrition, WASH, education, and child protection to more than 1.2m people in 60 ‘priority one’, most affected districts. Communities’ resilience to and ability to cope with future emergencies increased; children better protected from harm and able to continue their education during crisis; and more than 1 million beneficiaries reached through humanitarian response, plus 250,000 refugees (182,000 in Dollo Ado and 68,000 in western Gambella and Beneshangul).